Athens is considered as the best place when it comes to sightseeing. There are lot of ways on how you can explore the natural beauty of this place. One of which is through tours wherein it will help you discover the hidden treasure of Greece. If you want to have wonderful experience for your tours in Athens, Athens Photo Tour will help you with this matter. We can help you pinpoint the best route for interesting places where you can take creative shots. We can ensure to you that you will have fantastic experience during your photo tour in every streets of this ancient city. Our company is proud to say that we have the best reviews and we are the most recommended by TripAdvisor to all the tourists who visits Athens. Morning Photo Tour – One of the best choices for your tours in Athens is Morning Photo Tour because you will have the opportunity to start your tour at the foothills of the Acropolis and walk the path of Plaka in which you will explore the difference of Athens. You will be amazed with the true beauty of famous Hadrian’s Gate close to the ancient Temple of Zeus. As you continue your tour to Zappeio, you will discover Panathinaiκon stadium in which the Olympic Games were held during 1896. Also, you will learn lots of interesting places in the city wherein you are free to take pictures. During your tours in Athens, you are advised to wear comfortable clothes and shoes to ensure that you will enjoy your tour around the city. Thus, we also consider taking some short stops to have some food and drinks. Our Morning Photo tour can be scheduled in different time through out the year. 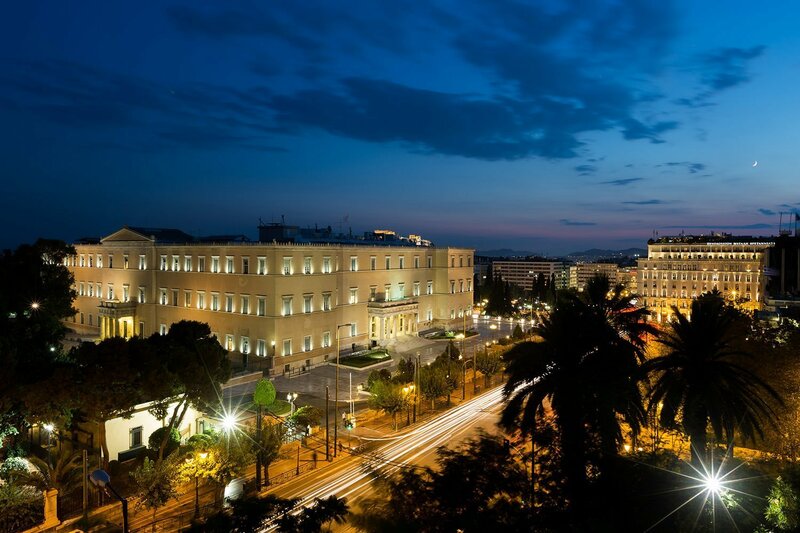 Evening Photo Tour – If you will opt for this kind, your tours in Athens will start at the Acropolis Museum and will walk to some under seen roads at Plaka and explore the beauty of different houses at the Plaka neighborhood. Thus, you can also have a close look to the Anafiotika neighborhood and at the same will walk to the path of Thision and witness the scenic view of Acropolis. At Athens Photo Tour, you will have the opportunity to get the best photographs thus, you can ask for your special request and we will quickly assist you with your needs regarding your tours in Athens photography. In case you are group of friends who are interested to our service, you are highly welcome. Our schedule of the photo tour is held every day so you can book whatever day you like. Night Photo Tour – Having this option will give you assurance that you will enjoy your night tours in Athens since Athens Photo Tour will provide you their best features of low light photography and a lot more. Your night tour will start before the sunset with good flow of paths to visit. Our program to this said tour will start outside the Acropolis Museum up to the roads of Plaka and Anafiotika neighborhood. With this kind of photo tour, you will have the opportunity to visit different places. The tour will end up in our meeting place. This offer is available everyday throughout the year, starting one hour before sunset. Private Full Day Photo Tour – At Athens Photo Tour, Full Day Athens Tour service is one of our best offers since you can have a private photo adventure to all the beautiful spots of the city. Our tours in Athens will start at the Acropolis Hill and will reach the path of archaeological monuments, Temple of Zeus, Hydrian Arch, Panathinaiκon Stadium, Lycabettus Hill, Anafiotika and Plaka. Also, you will continue your photography tours beside the coast wherein you will enjoy the delicious mid- day meal and will continue to the Athens Riviera and be impressed by the magnificent view of Vouligmeni Lake and have a photograph to the Temple of Poseidon that is located at Sounio. The Full Day Athens Tour of Athens Photo Tour is 10-12 hours of service wherein we can ensure that you will have remarkable photography adventure through this excellent service. Our service is best for group size wherein you can enjoy your private photography. Thus, their service is available every day at the entire year at Athens. Athens Photo Tour will serve as the best trip of your life. You will have the opportunity to visit the most wonderful and interesting places in the country of Greece.. Your Athens photography adventure will become memorable, you can be proud of to share it with your friends and family. Athens Photo Tour is the company whom you can always trust when it comes to your tours in Athens. Through their excellent services, you will have remarkable experience. That will offer great thrill for your senses and enjoy the delightful village at Plaka. Many nestles, jewelry stores, cafes can be found at the shadow of Acropolis. Our tours in Athens are designed for photography that will help you experience and explore the city with their photographer. Learn the interesting place, meet people and tast the food, have a great experience. Get the high quality photos that will surely speak for your own story. Choose one of the above tours in Athens, to get the best photos from your trip! Contact us to schedule your photo tour in Athens.